It’s always fascinated me that in landscape photography the popular mantra is to have front to back sharpness. Now this is all very understandable, after all who wants to look at a pretty picture of their favourite location and be frustrated by parts being out of focus? Well ‘not me’ I hear you announce from behind your leaf tea saucer, whilst sitting excitedly admiring the Victoria sponge cake on oh so attractive display in the window at Betties. But therein lays an avenue for mischief, creative of course! 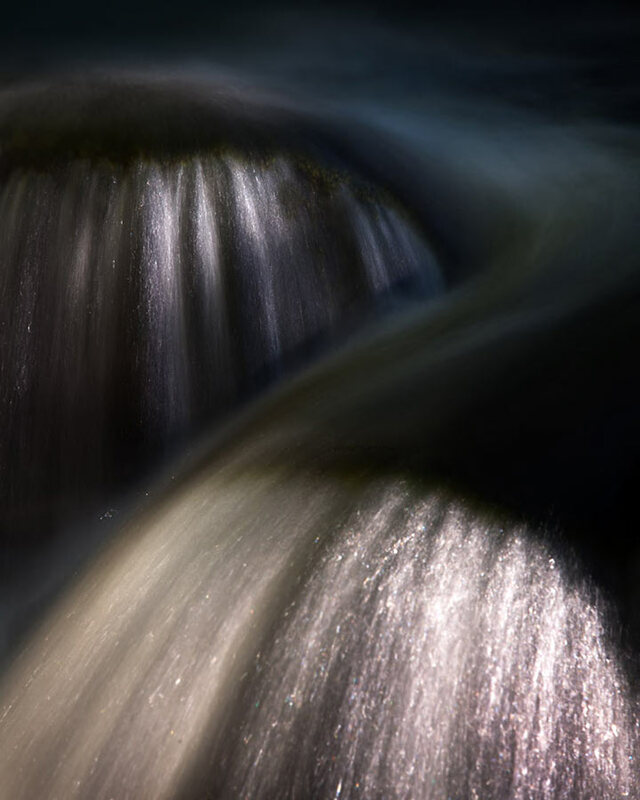 Now there are plenty of things you can do to help this from a technical point of view, depth of field, focus stacking, or even blending, but why go with the flow towards the middle of the stream? Why not through your paper dollies out, pass on the peppermint tea and head for the next shade establishment. I don’t wonder that you will be chastised by the little finger raising establishment, but who knows what you will find out once you enter the dark shady world. There may even be Rolf Harris on the jukebox playing stairway to heaven in a double ironic way!